Norfolk County Register of Deeds William P. O'Donnell recently testified before the legislature's Joint Committee on the Judiciary in support of two bills, Senate Bill #880 and House Bill #790, which would mandate that any residential mortgage assigned to a third party must be recorded with the appropriate Registry of Deeds within 30 days of its execution. The bills, which have been spearheaded by Register O'Donnell and his colleague, Plymouth County Register of Deeds John Buckley, are designed to allow consumers to always be aware of who is or has held their mortgage. Both Registers pointed out to committee members that a residential mortgage can be sold multiple times throughout its term. The pair further explained why it is important for the consumers to have such a protection. "For most homeowners purchasing a property, it is the biggest investment they will make during their lifetime," noted Register O'Donnell. "It may also be their biggest financial obligation as well." Register Buckley went on to further state that this is a consumer bill. "They way we look at it, people pay $175 to record a mortgage; they ought to know who holds it as it goes forward." One of the most frustrating experiences that the Registry's customer service department fields, according to Register O'Donnell, is when homeowners pay off the mortgage and are ready to sell their home, but they don't know the name of the last lending institution, or if they do know the name, don't know how to get a copy of the mortgage discharge because the company has gone out of business. The person than has to be referred to the State's Banks and Banking Division to track down the information. "We can alleviate this frustrating step if we can get this bill into law," noted O'Donnell. Other major benefits of the bill would be to capture lost revenue. "It also makes for a level playing field between the larger lending institutions, who in the past have not filed mortgage assignments, in contrast to the smaller community banks that for the most part do so. Additionally, if this legislation is enacted it would bring consistency to Registry policies; since we already record all mortgage assignments on the Land Court side and now we would have the ability to do it on the Recorded Land section side too," noted Register O'Donnell. 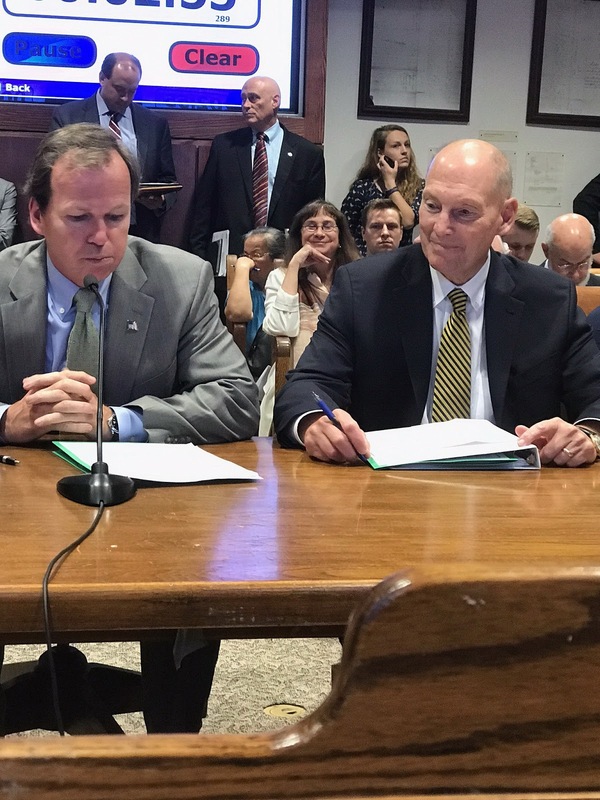 The bills, Senate Bill #880 and House Bill #790, whose chief sponsors are Senator John Keenan (D-Quincy) and Representative Bill Galvin (D-Canton), have received strong support in both legislative branches with a total of 67 co-sponsors. "I would like to thank both legislators for their leadership and support. It has been invaluable to getting us where we are now in the legislative process," concluded O'Donnell.